Hervé Memiaghe is a Gabonese ecologist with a deep interest in sustainable development and forest conservation. Hervé’s research and activities have engaged him in working to develop tools that increase scientific capacity in Gabon. 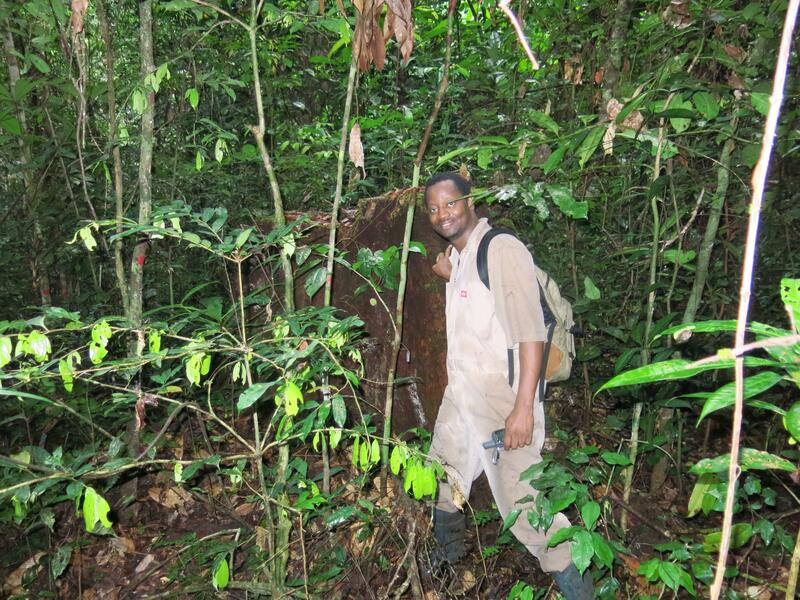 He has worked on biodiversity surveys in Gabon’s heavily forested Gamba Complex of Protected Areas, part of a collaborative effort between the Smithsonian Tropical Research Institute (STRI), the Smithsonian Conservation Biology Institute (SCBI), Shell Gabon and the Government of Gabon. In 2013, with support from a Smithsonian Youth Access Grant as part of the Earth Matters exhibition at the Smithsonian’s National Museum of African Art, he traveled to the Smithsonian Environmental Research Center (SERC) in Edgewater, MD. Hervé worked with SERC forest ecologist Geoffrey “Jess” Parker to learn about dendrometers and the digital calipers used to measure changes in trees’ girth. Hervé received his master’s degree in conservation ecology from the University of Stellenbosch in South Africa in 2008, and subsequently worked with IRET, the Institute for Research in Tropical Ecology in Gabon. Now pursuing his doctorate in landscape ecology at the University of Oregon at Eugene, Hervé has contributed to several scientific publications in the journals Forest Ecology and Management and Global Change Biology.